The Press Democrat, Dec 25, 2016 (emphasis added): Ocean changes upend North Coast fisheries… once reliable ocean rhythms have been seriously unsettled of late, confounding those who depend on predictable, seasonal cycles… a symptom of widespread marine anomalies that have prevailed for the past three years, threatening everything from seabirds and sea lions to treasured catches such as salmon and abalone. “The ocean is changing,” one glum crabber aboard the vessel New Horizon said… Irregularity “is starting to look like the new normal,” he said… Evidence of starvation in abalone populations prompted authorities to impose new restrictions in the sport abalone fishery next year to limit the catch. The commercial red urchin fishery is suffering, as well… Meanwhile, the commercial salmon harvest, California’s most valuable ocean fishery, continues to suffer, with spawning populations reduced significantly… Mass-starvation events have hit a spectrum of other West Coast marine wildlife, mostly due to the collapse of food chains… Large dieoffs of Cassin’s auklets, a tiny seabird, were first noticed when dead birds began washing ashore in fall of 2014. A year later, it was malnourished and dead common murres that were found adrift. Juvenile California sea lions, Guadalupe fur seals and other marine mammals have suffered for several years, as well, both from starvation and, to a lesser extent, from domoic acid poisoning. CTV, Dec 23, 2016: After the October 2016 deaths of a 23-year-old female, J28, and likely her 10-month-old calf, experts from the Center for Whale Research said dwindling food sources were a main factor in the population’s decline. CTV transcript excerpts, Dec 21, 2016: The numbers keep declining, mothers and babies dying — some experts say because of a lack of food…. so the death is really quite troubling. Alaska Dispatch News: Nov 11, 2016: Kachemak Bay has seen massive die-offs of sea stars and other species. What’s going on? — I came to the beach to count sea star corpses.. About 10 species once were common in the intertidal zone here…hundreds of which had been dismembered and scattered over the beach, as if a monster had stalked through before us, tearing their bodies apart… We’re left with an absence, another mystery… A few months earlier… tens of thousands of murres starved to death and washed up along beaches all over Southcentral and Southwest Alaska. Biologists counted more dead seabirds than they ever had before, but there were more than anyone could count, leading to the second consecutive summer of empty nesting colonies… It was also the second summer in a row with no clams or clammers on Ninilchik beaches, and no young clams to promise a recovery. Otters washed up dead on the shores of Kachemak Bay. Dead whales rotted on the surface… How weird is all this? And does it all fit together?… Soon there were no more sunflower stars to be found. Other species followed… and then almost no sea stars at all… [Katie Aspen Gavenus, a naturalist with the Center for Alaskan Coastal Studies] reported dead sea stars to researchers in California, as she’d reported dead seabirds to researchers in Washington state. “Sometimes this summer, it felt like I was doing nothing but counting dead animals.”… “It’s probably a pathogen plus environmental factors,” said Melissa Miner, a researcher with University of California, Santa Cruz who’s been tracking the outbreak for years… We don’t know what will happen with the sea stars. We don’t even know what is happening with the sea stars. The scientists I spoke to didn’t know why the Kachemak Bay sea stars died this summer — they didn’t even know it had happened… Last winter, tens of thousands of murres starved to death. This summer, the remaining murres abandoned their nesting colonies and failed to raise chicks. 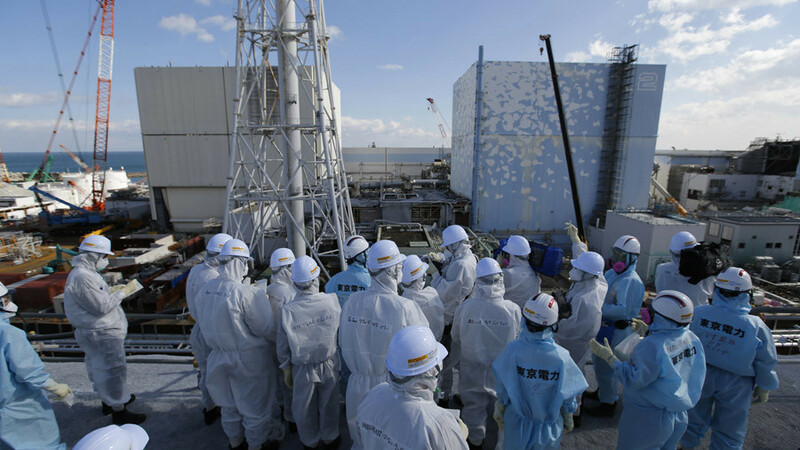 ABC Australia, May 24, 2016 (emphasis added): [ABC’s Mark Willacy] has been invited on a tour of [Fukushima Daiichi]… What Willacy discovers is truly unsettling… retrieving hundreds of tonnes of melted nuclear fuel turns out to be far greater than previously thought. Willacy: Tonight we go on a journey into the heart of this ongoing crisis… and we reveal the frightening enormity of the clean-up… and how dangerous it still is. Gregory Jaczko, former Chairman of the US Nuclear Regulatory Commission: This really is unchartered territory. Nobody really knows where the fuel is… There’s no playbook – they’re making this up as they go along. Willacy: The man in charge of decontaminating and decommissioning the Fukushima plant, Naohiro Masuda. Has anything like this ever been attempted before? Masuda: There has never been an accident at a nuclear plant like the one at Fukushima where three reactors had meltdowns. We are currently working on a timetable to decommission the reactors over the next 30 to 40 years. Naoto Kan, Former Prime Minister: I think it will take longer… This is a major accident, which has never happened anywhere in the world… 40 years is an optimistic view. Willacy: We are heading to the buildings housing the melted reactors… Tepco is worried about possible nuclear terrorism, and won’t allow us to film certain security sites. Masuda: This is a job we’ve never done and there is no textbook. Willacy: [At Reactor 3 there was an] explosion right after the nuclear fuel melted… What happened inside [Reactor 2] no-one really knows… [Reactor 1] is where probably the worst meltdown occurred. They don’t know where the nuclear fuel is. Masuda: We haven’t actually seen where the melted fuel fell, so it’s important to find it as soon as possible. Willacy: For the first time, Foreign Correspondent can reveal just how vast the amount of melted nuclear fuel is, the three molten blobs that lie somewhere deep within each of these buildings. Masuda: It’s estimated that 200 tonnes of debris lies within each unit… 600 tonnes of melted debris fuel and a mixture of concrete and other metals are likely to be here. Willacy: The most daunting task, one the nuclear industry has never faced, is getting the melted fuel out. 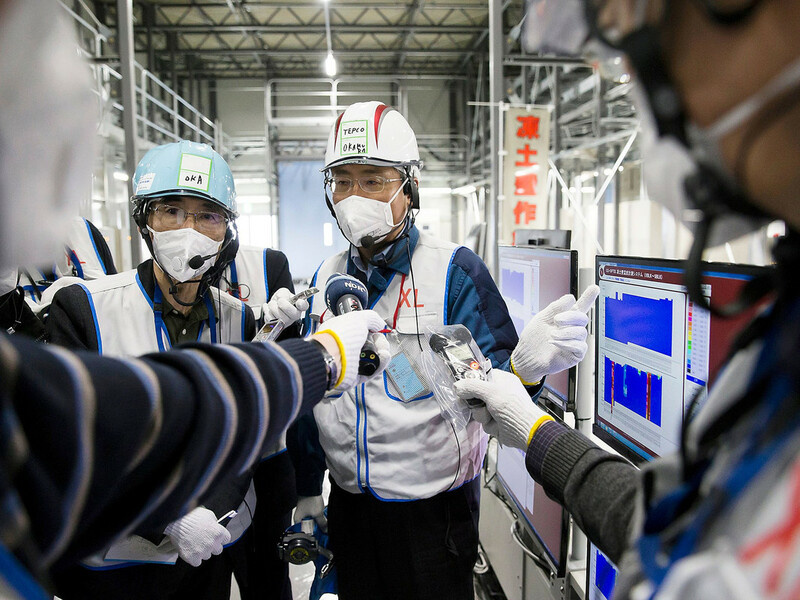 TEPCO admits the technology it needs hasn’t been invented. Jaczko: It may be possible that we’re never able to remove the fuel. You may just wind up having to leave it there and somehow entomb it as it is. I mean that’s certainly a possibility. There is no playbook, they’re making this up as they go along. 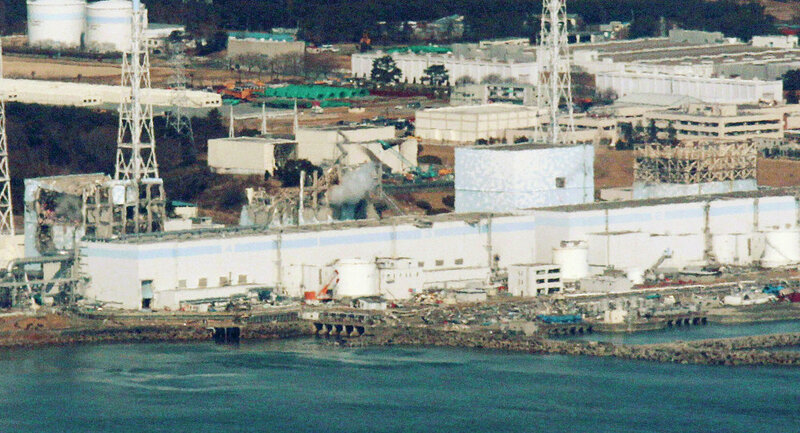 Kan: If all the reactors had had a meltdown, there was a risk that half or all of Japan could have been destroyed… the accident took us to the brink of destruction. Jaczko: You have to now accept that in all nuclear power plants… there’s a chance you can have this kind of a very catastrophic accident… that’s the reality of nuclear power. RT, May 24, 2016: 600 tons of melted radioactive Fukushima fuel still not found, clean-up chief reveals… [The fuel] burnt through the respective reactor pressure vessels, concentrating somewhere on the lower levels of the station… fuel from Reactor 1 poured out completely… the exact location of the highly radioactive “runaway” fuel remains mystery for TEPCO. The absolutely uncontrollable fission of the melted nuclear fuel assemblies continue somewhere under the remains of the station… [TEPCO’s] plan for Fukushima nuclear power plant implies a 30-40 year period… Yet experts doubt the present state of technology is sufficient to deal with the unprecedented technical task.